GANF Schools in Grantham have been celebrating this week, it is 10 years since their partnership with a special school in Weingarten, Germany began. On Thursday 28th March 2019 the Senior Leadership Team from the German Partnership School, KBZO, were invited to GANF for a very special assembly. 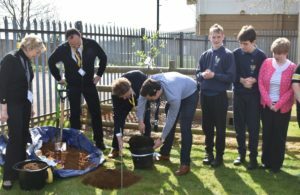 This year marks the 10 Year anniversary of their partnership, and to celebrate they held a tree planting ceremony. Burkhard Lerch, Kerstin Krekeler, Thomas Sigg & Walther Neugebauer, from KBZO, joined GANF’s weekly assembly. Pupil achievement awards were handed out, and then the whole school welcomed their German visitors (spoken in German of course!). Mrs Ellis, Assistant Headteacher of Sandon School, gave a presentation about the partnership, and the SLT from KBZO gave a reading in English about the school journey so far with GANF, across the 10 year history. 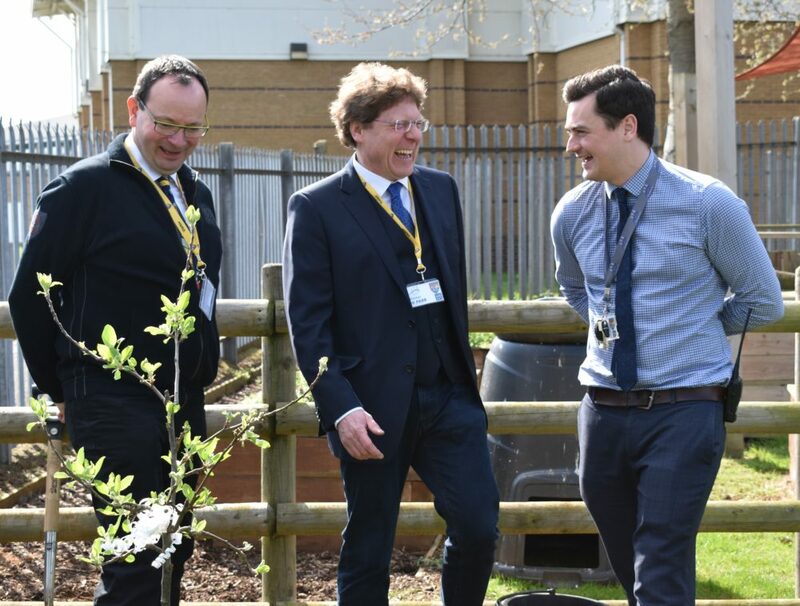 As the assembly closed the KBZO guests, along with School Governors, Mrs Bennington & Mrs Freestone, the Eco Committee from Ambergate, and SLT from GANF, headed out to the playground where there was a tree planting ceremony of an apple tree. This symbolised the future partnership which we hope flourishes and blooms for years to come.